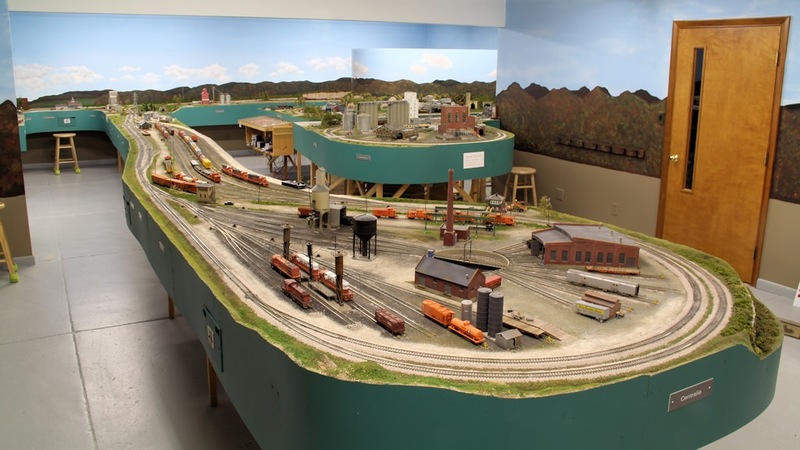 A joint group visit and operating session for members of the Gateway Division National Model Railroad Association and the St. Louis Chapter National Railway Historical Society will take place Saturday, March 7, 2015, to see and operate trains on the Litchfield Train Group‘s great HO scale model railroad layout in Litchfield, Illinois. Trains will be operated from 10:00 a.m. to 1:00 p.m. The Litchfield Train Group uses Digitrax DCC with plug in and radio throttles only. Visitors may bring their own Digitrax throttles. Gateway Division NMRA and St. Louis Chapter NRHS members interested in attending should sign up at their next scheduled monthly meetings. Only NMRA and NRHS members may attend. Members of the general public may attend by first joining the NMRA as a full member – $66 per year or a 6 month trial membership is available for $9.95. You can join the NMRA online at http://www.nmra.org. If you are interested in going, please call Ron Gawedzinski at 314-846-5559 or send him an email at rwgawed@yahoo.com with your name, email address and telephone number (include area code), and NMRA/NRHS membership info. Directions to the Litchfield Train Group layout will be sent on Monday, March 2, 2015 to those who registered for this event.